Beautiful morning today! I went to WC Clarke’s (fondly known as the Cheese Shoppe) on my way to work to pick up some coffee beans, thus avoiding the terrible perils of undercaffeination. I could tell from a block away that this was a roasting morning. Bill has some of the best coffee anywhere. Mmmmm! (click if you want to see what’s in the window). 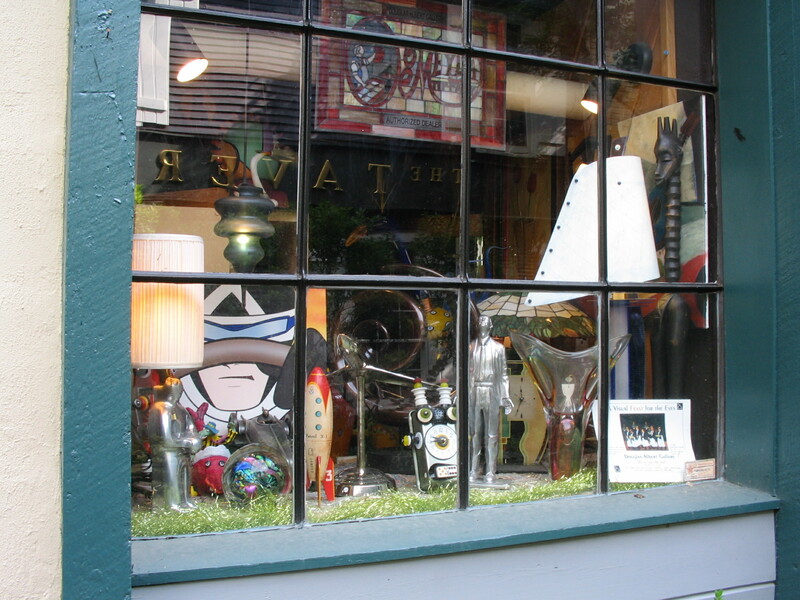 The gallery has a website, but the arty description of the Douglas Albert Gallery in no way does justice to the wealth of odd items crammed inside, though this photo of the window display gives you a hint. 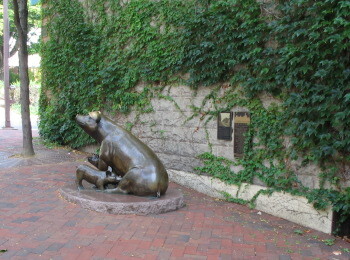 The alley is home to the State College pigs. Ahh, memory lane! I really need to get out there. Keep talking about it, but we never go. You aren’t that far, right? Classes started yesterday, so now isn’t the ideal time for a visit, but the weather is good. You need to come see all the changes to town and campus – moving the Creamery is only the most dramatic, not the biggest.